Emre is an IT professional more than 19 years. He has been in different companies and in different roles in Turkey. He has spent more than 10 years for developing software and more than 5 years for managing enterprise systems. 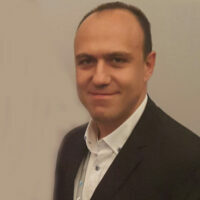 He is helping people to explain the benefit and advantages of virtualization technologies by organizing webinars, events for 3 years as a Turkey VMUG Leader. Nowadays He works as an Enterprise Solutions Manager in private company. He is also a fan of riding motorbikes aspecially BMW R 1200 GS. A CMAS scuba diver. World traveller.